Last week heralded the arrival of a VERY vintage bottle of Diorella by DIOR. Having never smelled the vintage it was tantamount to a blind buy and I was really nervous. In the listing the bottle looked pristine and the box dirty but perfectly formed still, a tester no less. It wasn’t very expensive but not a bargain either. So I waited for it to arrive and it has….. The top notes are fleeting and I get the oily slick tingle of aldehydes, I think the top notes have disappeared really because my nose gets almost immediate floral bouquet and already the furry cocoon of oakmoss wraps my nostrils tight and snug. Scott and I have a theory that I’m hypernosmic to oakmoss because it softly jumps out at me from the very first sniff till the last whispered gasp of fragrance. Diorella has a sweetness to it, not like the modern gourmands or Guerlains, but the sweetness of fruit just about to go over the edge of usability. I think it’s the honeysuckle and peach working together to produce a very mildly urinous underlay. Not especially noticeable unless my nose is right at the scent source, from arms length the whole of Diorella is refined young woman in twin set & pearls from yesteryear. Nowadays is the modern equivalent the white mens style T-Shirt and straight or boot leg jeans wearing women? Dry down comes hours and hours later, the vetiver is dried and lightly salted and surprisingly the patchouli is a backing player that merely enhances the oakmoss and vetiver swirled through with musk that smells like the real deal. Entries Close Saturday 26th November 2016 10pm Australian EdsT and winners will be announced in a separate post. The winners will have till Thursday 1st December 2016 to get in touch (portia underscore turbo at yahoo dot com dot au) with their address or the prize will go to someone else. Isn’t it wonderful, Portia? I have the same fluted bottle but the sprayer’s not working any more and I have no idea what to do about it. Hi Portia, how luck you are getting such a precious gem for few pennies. Although its a blind buy but Superb purchase. Oakmoss is my top favorite note in perfumery. 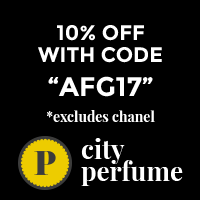 Indisputably a masterpiece and one of the best floral chypre fragrances around and should be tried by any fragrances lover. Would love to win this vintage sample. I follow via email mostly. I follow by email and I love Love LOVE Diorella but don’t own any and have never had the chance to try vintage. I follow APJ through email. I like to sample Diorella mainly because i like to smell how does the floral scent reflects the perfume being vintage. Fantastic reviews as always spectacularly posh Portia! Following APJ via email and loving it! All I want for Christmas is a vintage Diorella sample…Dior is the ultimate luxury brand and I would love to start 2017 in style. Read WP blog. Nothing like a Dior perfume for elegance. I follow by email. I’d like to try it cause its vintage Dior and oh my, vintage Dior’s gotta be great. I’ve heard so many things about Diorella, that I would really like to try it. Thanks for the draw. I love vintage florals, especially with carnation, and need to try more Diors. Happy Thanksgiving from the USA! I am grateful for my fragrance community. I’m happy that you bought vintage Diorella. I’d love to try it because it’s one of the classics everyone refers to. I wish I could compare it to the present formulation. I follow by email and I would love to try this vintage Dior fragrance. Beautiful vintage bottle Portia, what year is it from do you think? I follow by email. Not sure Anna-Maria, early on I reckon. Pre 1990? I’ve always been intrigued by the many descriptions I’ve read referring to fruit that is over-ripe/nearly rotten/just about to go over the edge of usability, as you so wonderfully put it. That’s why I’d love to try it. Thank you for the draw, Portia. I follow by email. I would like to try Diorella just because it sounds so lovely and I follow APJ by email. Thank you! I follow your blog via bloglovin and also via emails on my hotmail. I have read a lot of very positive reviews of this parfume and it contains an original oakmoss so I would really like to try it! Thanks!